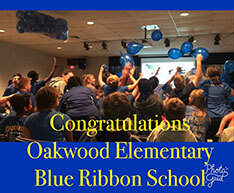 Welcome to the Internet home of Oakwood Independent School District, which includes Oakwood High School and Oakwood Elementary School. Located in the east Texas county of Leon, we are a close-knit, rural community, nestled in the woods just west of the Trinity River. 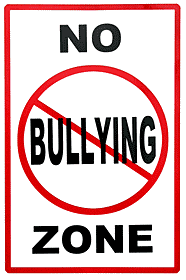 At OISD, our students’ success is our only priority. We are Dedicated to Excellence! Please use this website to get to know us and learn about the excellent programs we have to offer. Welcome and thank you for your interest. 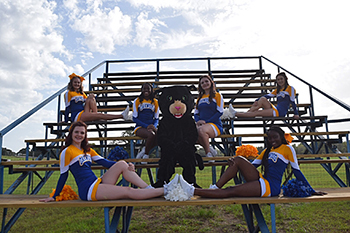 Come Join The Panther Team! 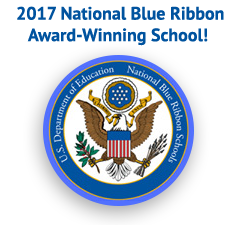 Earned the National Blue Ribbon Award in 2017! OISD transfer application for the 2018-2019 school year. 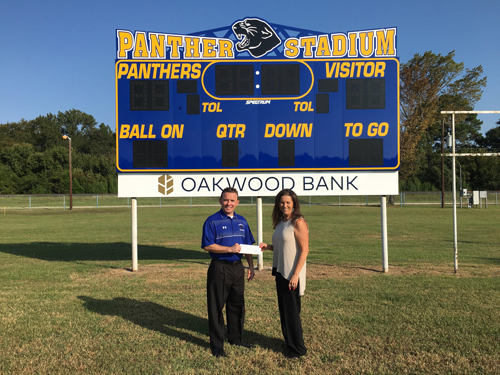 Thank you to Oakwood Bank for supporting Oakwood Independent School District. Their generous sponsorship of $10,000 helped to provide a new scoreboard for Panther Stadium. Pictured: Dorthy Cadenhead, president of Oakwood Bank and Dr. Donny Lee, superintendent. Oakwood Independent School District (ISD) will conduct a board of trustees election on Saturday, May 4, 2019.